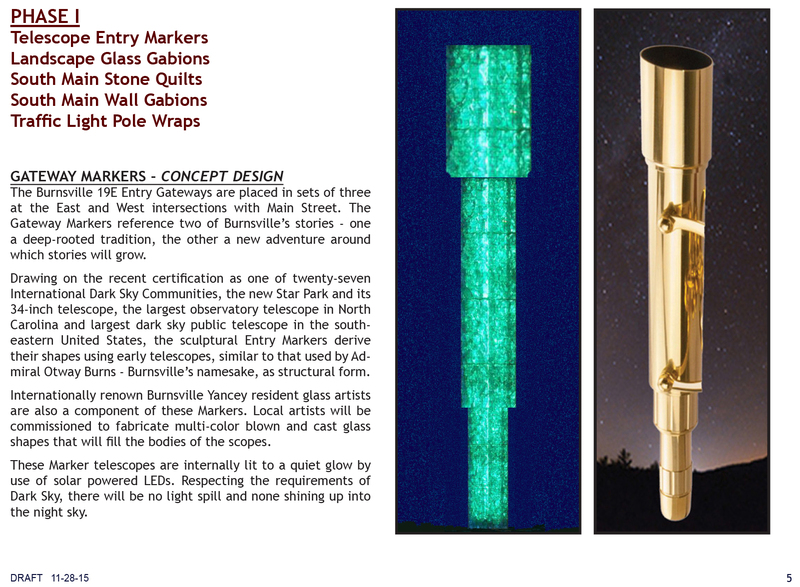 The Toe River Arts Council and Town of Burnsville applied for and received one of five state-wide SmART Initiative Grants. 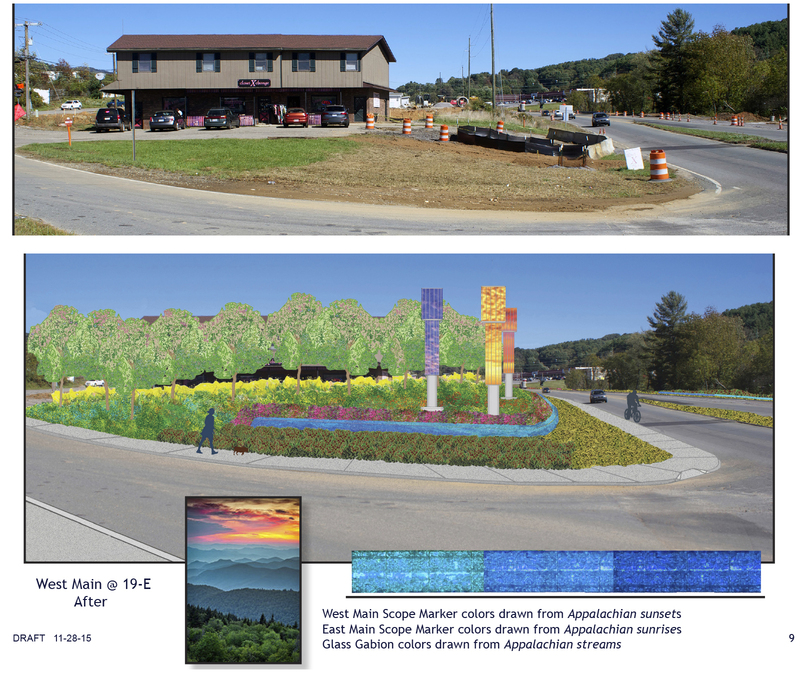 To initiate this work, TRAC has retained public artist/planner Jack Mackie and public art specialist Denise Dickens to work with TRAC and the Town of Burnsville on two vital developments: creation of the Burnsville SmART Public Art Plan and the designing of Gateways at the intersection of 19E with W Main, S Main, and E Main. 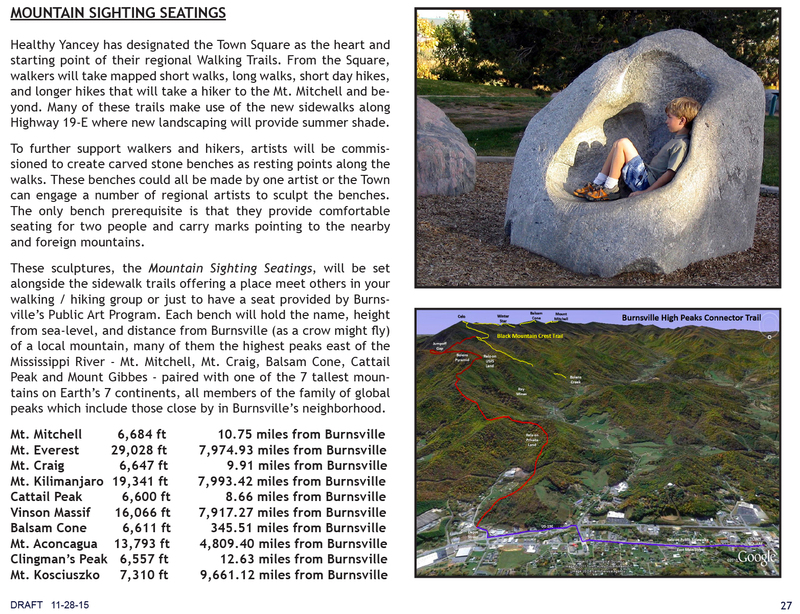 Burnsville’s SmART Public Art Plan provides the framework for infusing artists’ thinking, works, and imaginative experiences into Burnsville Yancey residents’ and visitors’ daily lives, revealing the region’s rich cultural heritage, the beauty of it’s natural setting, while supporting the creative growth of Burnsville’s community life. 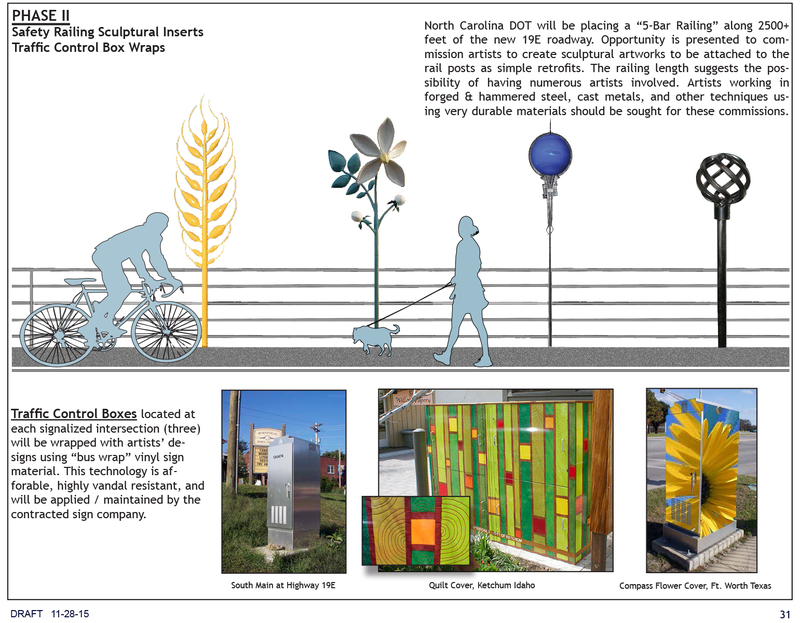 The SmART Public Art Program is committed to the creation of a program that views public art as integral to the fabric of the Town. 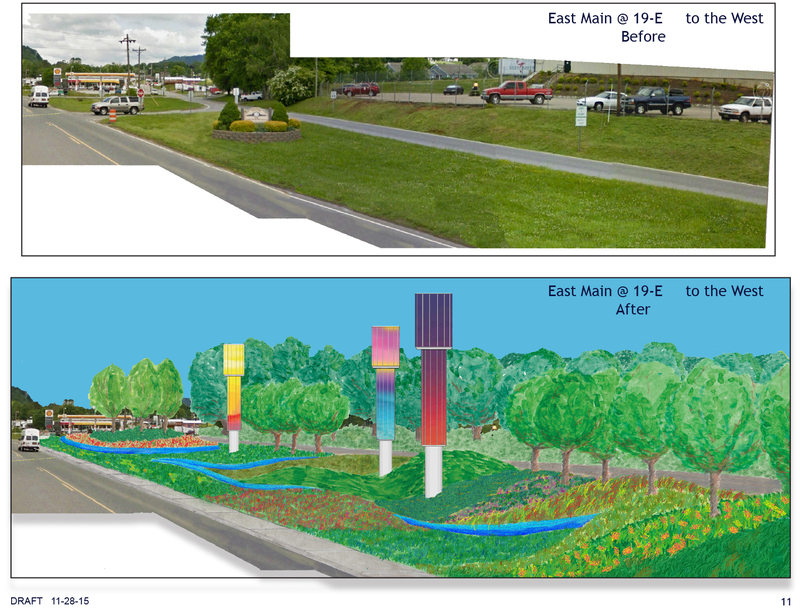 Jack Mackie’s work continues in an collaborative effort with the NC DoT to design improvements on Burnsville’s Highway 19E leg, . 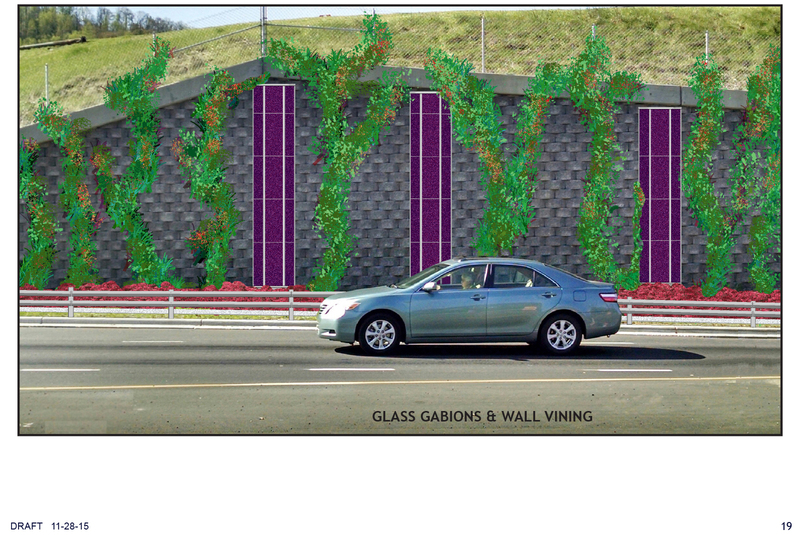 These three “Gateways” will enhance the three primary entrances to our downtown area with habitable pedestrian environments, imaginative landscaping and heightened visual interest. 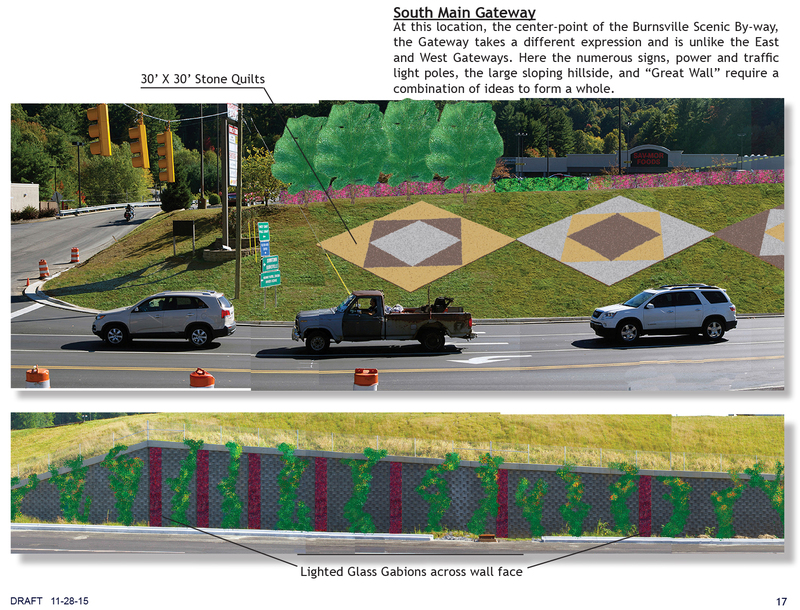 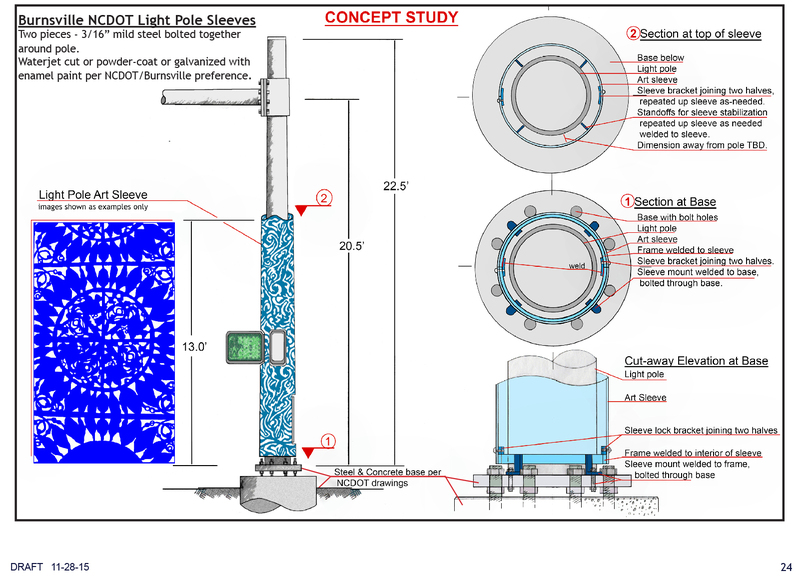 View the full Burnsville SmArt Public Art Plan here.